Athlone Castle was first built in 1210 to defend the crossing point on the River Shannon and evolved into a bold defensive structure. Elements of the original castle can still be seen today. We tell the story of settlement in this part of Ireland’s Ancient East, from the Neolithic period through Viking, and Medieval ages to modern life in Athlone. Our visitors will discover Athlone’s history through a series of 8 interactive exhibitions where the stories of its people, castle and conquests are brought to life. Early Settlement in Athlone: Our first gallery space introduces you to the early settlements and developments around Athlone and along the river Shannon. “Hands on” interactives, prehistoric weapons and ornaments on display get you started on your journey. Athlone Castle’s first 400 years: Dating from the earliest defensive structures in the town of Athlone this gallery space takes you through this period of the castle’s development. Inventive games, locally found artefacts, dramatic participative elements and dress up areas see the story unfold. Athlone Besieged: This gallery space will introduce you to the characters and events of the build-up to the siege of Athlone. Striking illustrations, dramatic soundscapes and objects set the stage for the bloody siege that is to come. The Siege Experience: In the castle’s upper Keep, a naturally circular space prepare to be brought back to the battlefield. Take a deep breath as you experience the intensity and bloodiness of this bleek and violent time in Athlone’s history. of Athlone who will tell you the roles they each played and the battles they won and lost. Brought to life these amazing sculptures tell their stories in a unique and colourful wayLife-size sculptural representations of eight key characters involved including army generals who led the attack and defense. The sculptures are abstract in form and use modern materials to create body shapes supported by audio for each figure to aid the storytelling. The Fabric of Athlone: Here you will find an extensive display representing Athlone’s indigenous industries, military uniforms and much much more. A comprehensive timeline from 800 AD to modern times takes you through events that shaped the town of Athlone in terms of trade, commerce, politics and religion. You can also enjoy the wonderful voice of John Count McCormack in an exhibition dedicated to the memory of our world-famous tenor, as you explore the military, social and industrial history of Athlone. A Self Sufficient People: Set in the lower keep of the Castle, in one continuous display case, the space presents objects from the Old Athlone Society collection that are related to key industries in the past life of the town, grouped around a number of subjects such as gentry, carpentry, the role of the publican in the community and domestic life. Death and Destruction: This dimly-lit gallery space provides an opportunity for thoughtful reflection as the post-siege horror unfolds. Be immersed in the harrowing sights and smells of the aftermath of the siege of Athlone. A seasonal Fáilte Ireland Tourist Information Office is located in Athlone Castle courtyard. Athlone Castle ‘Enhancing the Visitor Experience Project' was supported by Failte Ireland under the 2015 Ireland's Ancient East Capital Grants Scheme. The project delivered; multi-lingual audio guide in five European languages, Chinese and English. Period costumes for castle guides, a smartphone app and an outdoor information panel. The Athlone Castle team participated in tour guide training in 2016 with assistance from the Heritage Council of Ireland under the IWTN Interpretation fund. This funding was gratefully received. Athlone Castle’s replica period costumes available in designated dress up areas and a medieval heritage tent were procured in 2015 with assistance from the Heritage Council of Ireland under the IWTN Interpretation fund. This funding was gratefully received. 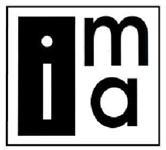 The IMA Museum Basics course was held in Athlone in September 2015, in partnership with Athlone Arts and Tourism and with funding allocated by Westmeath County Council and The Heritage Council's Community-based Heritage Grant Scheme. The Office of Public Works will undertake essential conservation works on the exterior walls of Athlone Castle from 27/02/2019 to 24/05/2019 inclusive. Athlone Castle Visitor Centre and grounds will be closed to the public from from 13/05/2019 to 24/05/2019 inclusive to facilitate conservation works on the exterior walls of Athlone Castle. Closed from and including Saturday 21st December and re-opening on Friday 27th December (Wednesday 25th & Thursday 26th are Bank Holidays). Closed Monday 30th, Tuesday 31st as per normal and Wednesday 1st January (Bank Holiday).